written in English and/or download some of the offered files. of constructions and syntax rules in certain programming language. of some non-trivial program, which would contain at least 20 mutually connected and cooperating classes. of the text conversation game (adventure), which should correspond to a set of conditions. Simultaneously it should help them to learn how to work with external libraries and frameworks. how similar problem classes are solved, and with those entering the real steps for solving the assigned problem. but also at a number of secondary schools teaching programming. 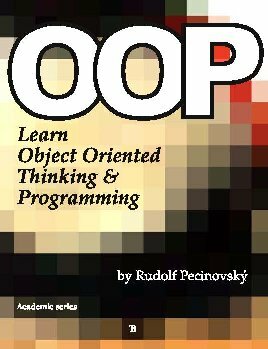 Object Oriented Programming for the Complete Beginners. in which I try to explain the basics of object oriented programming. 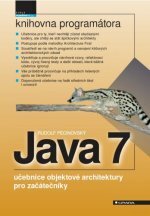 who would like to learn programming in Java language. The book raises the conception established by previous textbooks. but the area, which will resist to automation for a long time, is designing the program architecture. how to design good architecture. This textbook strives to fulfill the gap in this field. This book is the second volume of the previous one. 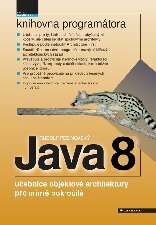 including new constructs brought by Java 8.